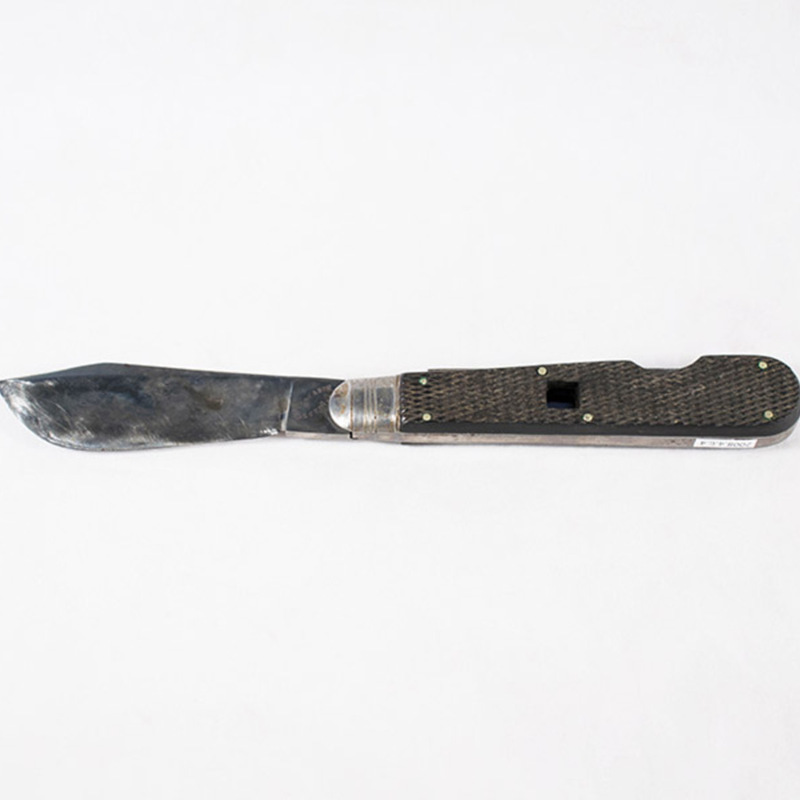 Pointed, non-parallel blade with one cutting edge only. 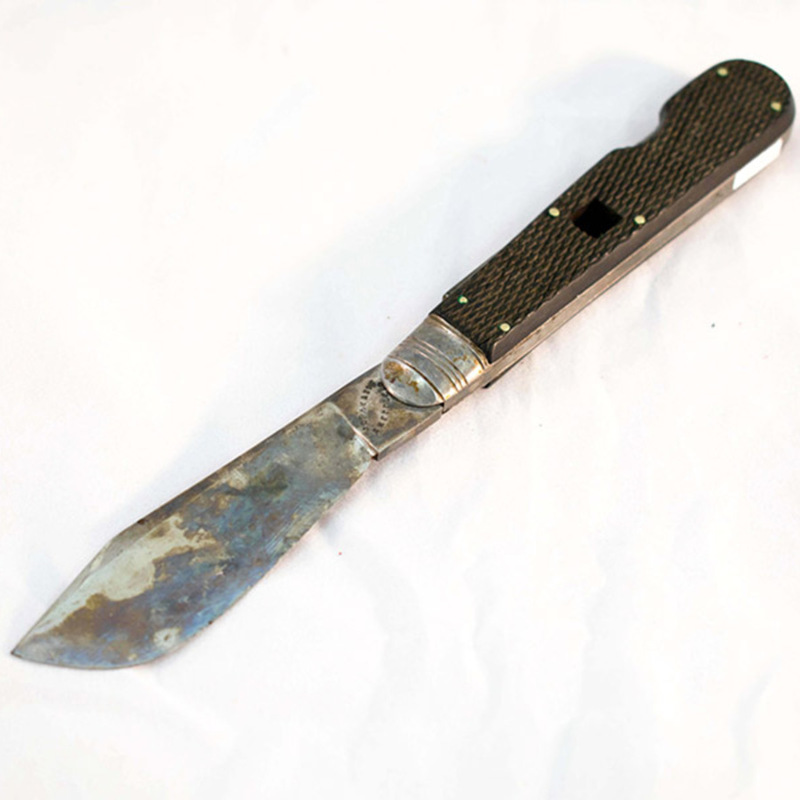 The steel end-piece is keyed for locating into the ebony/steel handle of the set, and is 3.6cm in length. 2.3cm in width, 12.1cm in length. 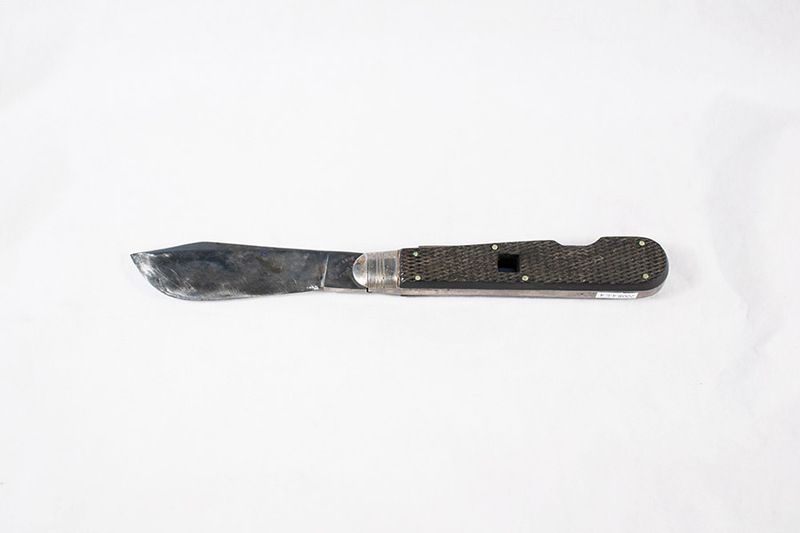 “Cartilage Knife,” Heritage, accessed April 23, 2019, https://heritage.rcpsg.ac.uk/items/show/315. Description: Pointed, non-parallel blade with one cutting edge only. 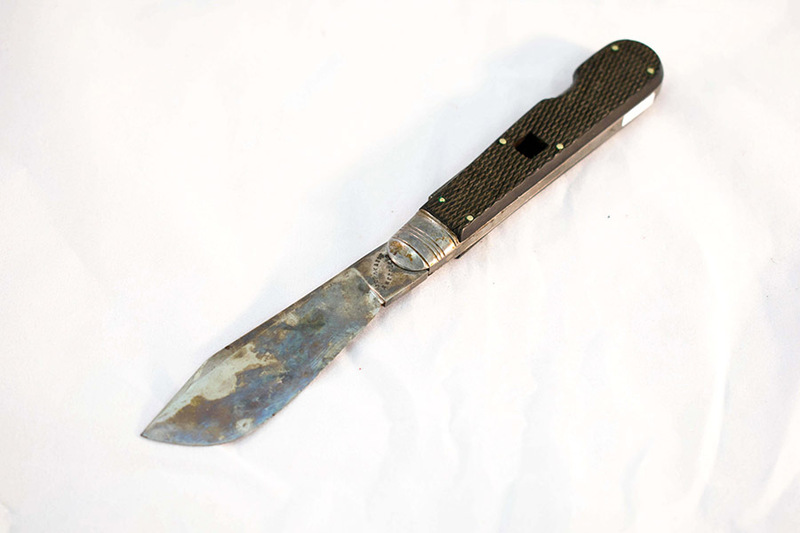 The steel end-piece is keyed for locating into the ebony/steel handle of the set, and is 3.6cm in length.